PASADENA >> Two gang members will spend the rest of their lives in prison cells for fatally shooting a Pasadena community coach and sheriff’s department employee on Christmas Day, 2012, a judge declared Friday. At their sentencing in Los Angeles County Superior Court, Jerron Donald Harris, 29, of Pasadena and Larry Darnell Bishop, 24, of Chino each received sentences of life in prison without the possibility of parole for the Dec. 25, 2012, murder of 49-year-old Victor J. McClinton of Pasadena, Los Angeles County District Attorney’s Office spokesman Greg Risling said in a written statement. McClinton was walking with a friend in the 1900 block of Newport Avenue about a 11 a.m. when he became caught in gang crossfire. The killers opened fire on a rival gang member, who was wounded in the shooting, according to Pasadena police officials and prosecutors. McClinton, who was struck by an errant bullet from the gang-related attack, succumbed to his injuries at a hospital. 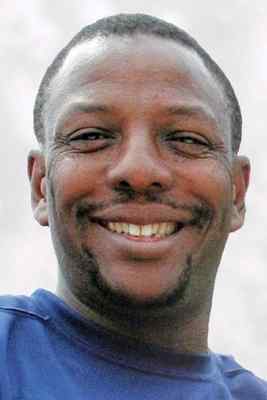 McClinton was a father of two who worked as a law enforcement technician for the Los Angeles County Sheriff’s Department and founded the Brotherhood Community Youth Sports League in Pasadena. Following a mistrial in 2015, and a 15-day jury deliberation process at the conclusion of their second trial in 2015, a jury convicted Harris and Bishop of first-degree murder, according to district attorney’s office spokesman Ricardo Santiago. The jury also found true the special circumstances that the killing was gang related and that the shots were fired from a moving vehicle, he said. The jury also found true the allegation that Harris personally used a firearm in the crime, but did not find true the allegation that Bishop also fired a gun in the shooting. This entry was posted in 187, gangs, Pasadena, shooting by Brian Day. Bookmark the permalink.